I think that both qualitative and quantitative researchers have “entry” issues where it comes to subject populations. To me, the qualitative side of the equation provides more depth and understanding. I think that (as has been discussed) it is important to harness both methods in order to get the outcome that you can only hope for. I took a look at some of the studies…the Amish, and then the people from Bethany Baptist. It’s tough to pass judgment on either group (or the others). The Amish seem to keep to themselves and not engage the world. The Bethany people do engage the world and they censor it too based on their beliefs. As much as I hate to see that, don’t policymakers “think” for us as well? I’m sure they “censor” things too, even if indirectly. The R & T study is something I have to dig deeper into. But at first glance, 12 out of 325 interactions resulted in injury? What does that mean? And how did they decide what was simple horseplay and aggression? I guess they took the two behaviors and teased them apart. I could be wrong, but it seems like a lot of “feeling” and “assumption” went into the process. Maybe someone can explain it to me. I think that if the personal accounts of teacher, especially over the past 50 years, were examined, at least then we would have a collective voice from them. Like the untapped parent resources in other discussions, teachers also have been ignored by their administrators and by their own union. If reform is an informed process, then I suppose that personal accounts would be an asset. Question 1: The research investigator conducting a qualitative study can serve as an interviewer or the research instrument. With both quantitative and qualitative research, issues can arise with sampling and entry. I feel that both methods of research can lead itself to be more detailed and valid data based on the purpose and design of the research study. Qualitative lends itself to being more detailed when trying to explain the methods or causes behind certain behaviors or actions, while quantitative gives more of the “number data” that is sometimes needed for validity. Question 3: Among the enculturation studies in chapter 2, which study stands out the most to you and why? The study that stood out the most to me was the study that Margaret Mead conducted examining the roles that parents and other adults play in guiding children’s behavior. This study was very interested to me because Margaret challenged the work of Freud and claimed that it did not apply to cultures outside of the culture that Freud used for his research. Question 4: How has America’s school culture changed the last decade? Our school culture has changed by providing more help to students who are English Learners, economically disadvantaged, and struggling learners. We now have many more supports in place to help all students become successful. Now ELD and RTI have become very routine aspects in education that we not as prevalent a decade ago. Sociological tenets connect the issues of the individual with the broader social structures and cultural values, the contradictions of all of these, the ways these structures cultures and contradictions have historically developed, and the current processes of change they are undergoing. Anthropological tenets focus on watching, listening to, recording, and recording things and events. When Pellegrini (1988; 1989) and his students observed kindergarteners, second, and fourth-graders from a public elementary, of the behaviors noted, about 11 percent could be reliably coded as rough and tumble. This means that 88% of the data could not be reliably coded which creates a concern with the validity and reliability of this research. Pellegrini’s results also state that boys were three times more likely than girls to engage in rough and tumble. If 88% of the data could not be coded, this generalization is based on a very limited amount of data. If the other 88% of data could have been coded and analyzed, the results could have been significantly different. The researcher is obligated to draw conclusions from the case study, explicitly or implicitly making recommendations that will alter policy and/ or practice. By collecting the personal account of teachers who have taught within the last 50 years, we could learn about their viewpoints of educational practices that focus on their actual teaching experience. This could help to inform educational policies through creating shared leadership. 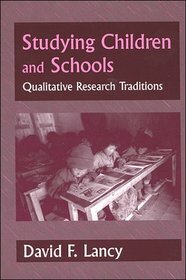 Case studies allow investigators to generalize, but not “overgeneralize.” While the researchers can draw conclusions and answers to social questions from case studies that can be used to answer questions in similar situations to that of the case study, researchers have to remember that each situation is different and while there might be similar themes just as ethnographic research there are a multitude of variables. The perceptions of those involved in the unit of study and that of the researcher affect what conclusions and generalizations can be drawn from the case study. These perceptions might not be exactly the same even if the group to which the generalizations are being applied to are perhaps the same age group, grade level, etc. as the case study group. Question 1: The research investigator conducting a qualitative study can serve as an interviewer, or nonparticipants, or participant observers. I think we can learn a great deal by collecting the personal accounts of teachers who have taught within the last 50 years? This information could give valuable data about teacher motivation; teacher perceptions of student acheivement; teacher and public education philosophy and process; curriculum design, redesign, and invention, among others. I think the culture of education does not value the veteran as the wise sage, but treats them as if they are an antiquated commodity that they hope will retire. This veteran population holds a wealth of knowledge that could be of benefit to the future path of education if we would just listen to their stories. One reason we teach all students history is to ensure we learn from the past, I am always amazed that the education field is generally not so reflective. I agree that often education treats the veteran teachers as if they are an antique commodity. Unfortunately, I think that a few veteran teachers that we have had this opinion about has become a stereotype for this population. We treat our students every day how to embrace differences, work together, and learn from the past to make better and more informed decisions. It is a shame that our philosophy of teaching often does not carry over into our profession. How do you suggest we overcome this negativity so that we can learn from our veteran teachers to improve educational practices? The researcher can serve as interviewers, nonparticipants, or participant observers. The researcher can serve as the instrument in the investigative study. I think qualitative and quantitative both have their advantages and drawbacks. Unless the research question, design process, and data analysis is conducted on a specific example I find it difficult to reveal which is the best method for giving more detailed information and valid data. In some cases, someone could argue the quantitative analysis would lead to more unbiased valid data, but that is not always the case. Additionally, the qualitative method could provide more detail in some cases because of the nature of interviews and observations, which numbers can always reveal. But, again unless one knows what type of study it is difficult to know the best method. American school culture has become an age of accountability and results driven culture. It seems that creativity and student centered is not necessarily what school culture is all about. It is challenging to get excited about accountability, performance measures, etc. Taking into account personal accounts of teachers within the last fifty years and conducting an analysis could provide great information if accounted for correctly. Studying the evolution of teaching and best practices and having an understanding of the issues facing teachers over time, could be beneficial for current practice and research. The teaching profession and education seemed to achieve better results decades ago. It would be beneficial to examine the effective results from previous decades to effectively drive education today. The three studies on Punjabi immigrants, Amish community, and the Bethany Baptist Academy presented some very interesting insight to the varying problems that the given groups faced in the established society. The different levels of participation and observation from the researchers showcased the interpretive nature of their work. The analysis provided a interesting argument on the researchers’ own biases and frame of reference when studying cultures that depart from the expected norm of society. It would seem quite challenging to present data, through field notes, void of one’s own frame of reference. These are issues that I would need to be aware of in order to be free of judgement. I also feel that it is very challenging to present data, through field notes, from an objective perspective only. I think that we all come with our biases and frames of reference that cause us to unintentionally take notes from our perspective. I think that becoming aware of these unintentional perspectives is essential to being able to complete these tasks free of judgement. American school culture has become an age of accountability and results driven culture. It seems that creativity and student centered is not necessarily what school culture is all about. It is challenging to get excited about accountability, performance measures, etc. Taking into account personal accounts of teachers within the last fifty years and conducting an analysis could provide great information if accounted for correctly. I am really having my teachers dive into data analysis this year. We have been PLCing, creating CFAs, etc., but now it is really looking at the results and gearing instruction based on the data. I feel like I am shoving it down their throats, especially the throats of teachers who have been teaching for ages. Thus, I think it would be important to interview experienced teachers to gain a perspective of what really is considered a “best practice.” I know when I was in elementary school, my teachers didn’t worry about data or test scores, and I turned out all right.